Fresh Made Healthy Green Smoothie Served In Jars On Bright Table. Fruits And Vegetables Ingredients Around. Closeup With Copy Space. Horizontal. Lizenzfreie Fotos, Bilder Und Stock Fotografie. Image 114631441. Standard-Bild - Fresh made healthy green smoothie served in jars on bright table. Fruits and vegetables ingredients around. Closeup with Copy space. Horizontal. 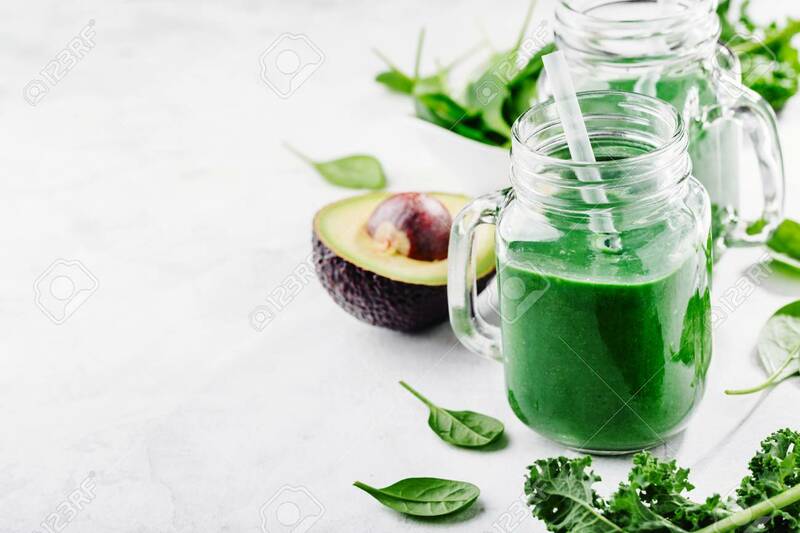 Fresh made healthy green smoothie served in jars on bright table. Fruits and vegetables ingredients around. Closeup with Copy space. Horizontal.